establishing your credibility as an authentic researcher. Such critical assessment of the existing research literature is often termed as ‘literature review’ in academia, and is apparently a nightmare to many students who have not done it ever before. If you happen to be one of such students, you must read through this article which sheds light on the process of conducting critical literature review, particularly, in the context of writing a dissertation or a PhD Thesis and provides some excellent tips to work with. To start with, you should pay heed to what counts as ‘published literature’ because you would be urged by your university to review the same for the purpose of drafting an authentic literature review for your dissertation or PhD Thesis. ‘Published literature’ refers to any piece of scholarly work that has been written or produced by an established academic researcher/accredited scholar and/or put out by a recognised publisher, and is available for review in many forms, including scholarly books, journal articles, industry publications/reports and government websites. You must make use of as much of recently-published literature as possible to make your research paper look authentic, credible and up-to-date to its readers. Close on the heels of using the ‘recently-published literature’ comes the important task of reviewing it in a CRITICAL manner. Instead of just summarising each and every reference (listed in your research paper) briefly, it is important that you construct synthesis of various sources/references and evaluate those critically with a view to producing coherent arguments for the study you are engaged in or carrying out. As you are now well aware of the significance of published literature and its CRITICAL review, let us get to understand other crucial aspects of reviewing literature, such as how often to conduct literature review as a Master’s or PhD student, how to set boundaries for literature review, how to search for the authoritative and relevant references, how to structure your reading, when to stop reading, writing your literature review, how to organise and synthesise your sources while writing and revising the draft. At the very beginning, various pieces of published literature are reviewed with a view to establishing context & rationale for the study and justifying the research question. In the middle of the research study, relevant and current pieces of published research need be further reviewed as so to cover all the important aspects/current issues related to the research problem/gap. In the last stage, literature is usually reviewed to support the findings of the research study in question. For PhD students, the process of reviewing published literature goes on for extremely long period of time as their research studies normally span over 3-4 years if they are regular students and 6-7 years if they are part-time students. Hence, make it a habit to keep yourself abreast with the current issues related to your research area constantly so as to make your PhD Thesis look current and relevant within the ever-changing context at the time of its submission to your university. Keeping in mind the three stages of conducting literature review, you should go about reading relevant pieces of recently-published literature now. Although you can start by reading any published literature related to your research area, yet it would be wise for you to brainstorm on the scope of the literature review so as to remain committed to focused reading throughout the tenure of your research study. If the volume of reviewed literature is sufficient for the level of dissertation or PhD Thesis. After you have defined the scope of literature review, you should go searching for relevant and authoritative references or sources (e.g. academic books, journals, research reports, government publications) that could help you write it up in a critical manner. Many new students have been seen resorting to Google or any other search engine for pulling up references for their research studies. What such students fail to understand that all search results or references provided by search engines may not be academically authoritative and that it will take ages to sift the good ones from the entire lot. Therefore, you should avoid running a generic search on the internet and pulling up a filthy list of references. 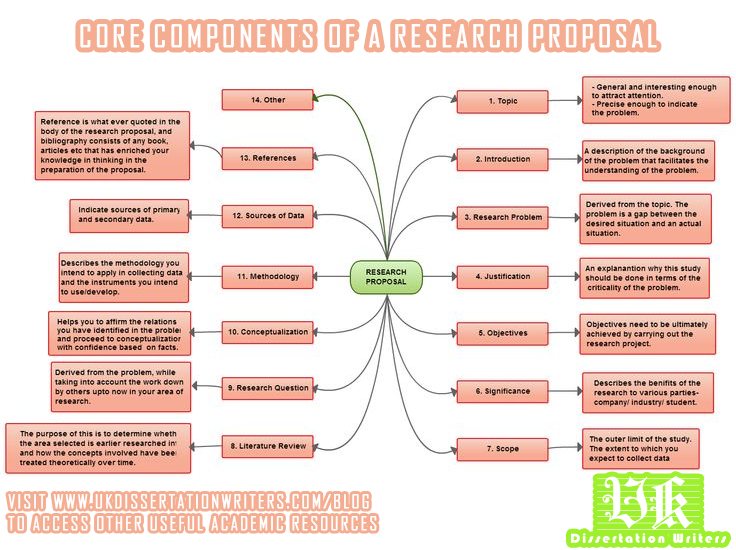 Rather, you should make use of authoritative databases to look for good references for your dissertation or PhD Thesis. For your perusal, we have listed a number of recognised databases for ‘Business Management’, ‘Linguistics’ and ‘Health Science’ subjects below. Please note that you will need to obtain log-in credentials from your university to be able to access the references/sources available on the listed databases. 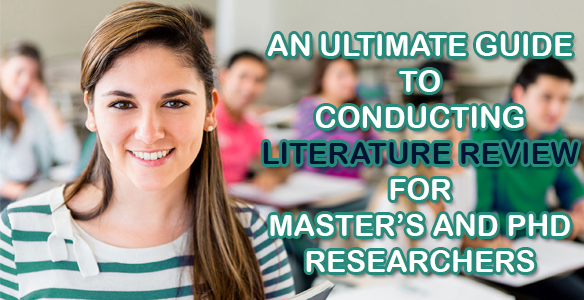 In addition to searching authoritative databases, you could consult your dissertation or PhD supervisor to get hold of references that you must go through to write up a critical literature review for your research paper. You could also seek help from a liaison librarian for your subject area to discover some useful references. The library’s catalogue search engine or shelves could turn out to be quite helpful in this regard too. Apart from visiting your university’s library for help, you could take a look at the review articles, which cover all the recent developments in your research area, so to be able to come across some good references. Lastly, you could take a look at the bibliography or reference list of all the references that have been identified as authoritative, relevant and important for your research paper so far. By scanning through the reference lists of the already-chosen references, you would be able to recognise the standard references that are often cited by academic authors in your subject area and use those appropriately to strengthen arguments in the ‘literature review’ chapter of your dissertation or PhD Thesis. You may also chance upon some new references that introduce you to completely new perspectives related to your research field. Make sure that you keep your literature review up-to-date by using recently-published academic literature. Once you have conducted literature searches, you should be able to put all the selected references under various headings/themes so as to structure your reading in an appropriate manner. Pick up each heading or theme and read a few important references related to the same. While reviewing references, please keep in mind that some of the references may have to be discussed under more than 1 heading. Hence, do not forget to make notes while reading. Has the author defined the key idea of the written literature clearly? Has the central idea of the literature been supported by concrete pieces of evidence? Could there be other ways to interpret the used pieces of evidence? 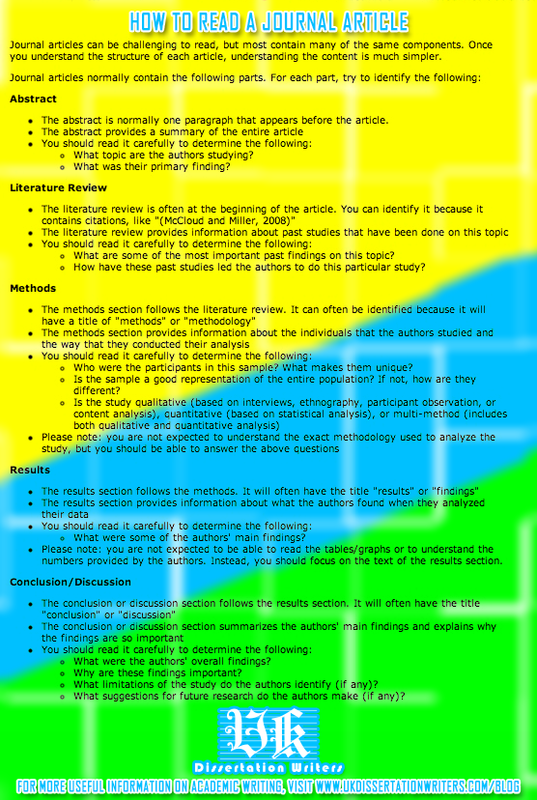 What types of research method have been used by the author (e.g. qualitative, quantitative, mixed, experimental etc.)? What is the author’s theoretical framework (e.g. psychological, developmental, feminist)? Have other pieces of literature been duly critiqued by the author? Have the opposing views been duly taken into consideration by the author? How reliable and valid is the research data collected by the author? What are the strengths and limitations of the author’s published literature? How does this piece of literature contribute to your dissertation or PhD Thesis? Please note that effective note-making is the key to drafting a good literature review. Software packages, such as EndNote and RefWorks, could turn out to be quite helpful in managing references and storing your notes on each of them. So, make use of these software packages to make your life a bit easier. After you are done with reading all the selected references for each heading or theme, you should write down a summary of what you have read about and how the reviewed references are significant for your research. Thereafter, you should ascertain if anything else need be discussed. If yes, engage in further reading accordingly to fill the gaps. Synthesis Matrix might turn out to be quite helpful in this regard. Please see the below-given section titled ‘how to organise and synthesise your sources while writing’ to know more about this matrix and how it can help. You cannot simply go on reading infinite number of published sources as it will do nothing but waste some of your precious time that could have otherwise been utilised in carrying out other productive tasks. Hence, you must keep a check on your reading and stop when its purpose has been duly fulfilled or realised. Try to work out the word-count for literature review you are supposed to carry out for completing your research paper. 30% of the total word-count is normally considered as adequate for ‘literature review’ section of your dissertation or PhD Thesis. Once you have calculated the word-count that needs to be devoted to ‘literature review’ chapter, you need to break it down further in line with the headings or themes you have decided to read on. As you now have an approximate word-count for each heading, you should work toward achieving it. In this way, you will avoid both over-reading and under-reading. Try to determine how long you plan to carry on with reading. In order to arrive at this answer, you would need to look at the deadline for submission of your dissertation/PhD Thesis and work backwards. This process would let you know how much time you can afford to dedicate to reading literature before moving on to other aspects of research process (e.g. writing up the literature, data collection, analysis of the collected data and discussing the results). Make sure that you have read all the important references and all the recently-published literature on your research topic. If you have already done it, you are probably on the verge of completing your literature review. During the process of reading published literature, you have to be attentive all the time. Once you see the influx of similar information over and over, you should probably quit reading as any further reading is highly unlikely to add something new to what you have already covered. Needless to say that you should only read those references that contribute to the research you are engaged in. If you find yourself glancing through academic papers that do not relate to your research, you are probably going off the track and this is when you need stop reading and get your focus back on your research topic. As suggested in one of the previous sections of this article, please make sure to engage in the process of reviewing literature constantly if your research study is going to last for a number of years (as is the case with PhD students). Normally, what you should do is read and prepare an initial ‘literature review’ draft that informs your research design and objectives. Thereafter, you should move on to data collection. Afterwards, you should read again and update the ‘literature review’ draft with recent developments in your field of study so as to keep your research paper up-to-date and relevant at the time of submission. Make it a habit to devote sometime to reading every week as a PhD researcher. You should get on with drafting literature review for your dissertation or PhD Thesis only after you are completely through with reading the selected pieces of literature, taking notes on each of chosen references and summarising the sources for each of the headings or themes. Your literature review should start with an ‘Introduction’ that throws light on the broad context of your research, highlighting the proposed study’s main issues/debates, outlining the strategy for choosing the references and setting the scope of the review. After you are done with ‘Introduction’, you should move on to write the main body of the literature review that should aim at analysing the chosen sources/references in a critical and structured manner. Make sure that main body of the written review flows in a smooth way from the beginning till the end. All the paragraphs should link appropriately and come together to tell the readers a coherent story of what you are doing, why you are doing it and how you are going to do it on the basis of previous research. In the end, you should conclude by summarising the content of the main body and directing readers to the research question/s that will be addressed by your investigation. Put in all the efforts to get rid of issues related to grammar, spelling, fluency, evidence, structure, and referencing. As literature review is not simply a summary of the chosen sources, it could be an extremely daunting task to organise and synthesise those in a way that is meaningful and relevant in the context of your research during the process of writing the review. By theme – As suggested in the ‘how to structure your reading’ section previously, you can categorise your sources according to various themes or headings that make up the whole literature review. By chronology – You could also order your sources according to their respective years of publication and develop your literature review chronologically on your research topic. Please make sure that you are writing about the sources in a critical way instead of simply describing their content while arranging them in this way. Once you have decided on how you are going to organise your references (e.g. by theme or by chronology or by any other method), you need to think about how you plan to synthesise them together to be able to write paragraphs (for each theme or heading or topic) that demonstrate critical evaluation of the chosen sources and are meaningful in the context of your overall research study. Synthesis Matrix has been touted by many researchers in academia for its usefulness in synthesising sources and producing a well-drafted literature review. Hence, you could use it to synthesise information while writing up the review. As you can see in the below-given layout of Synthesis Matrix, it is a chart where various sources on a particular theme/heading/topic are placed horizontally and main ideas of those sources are listed vertically. With this matrix, you can get a clear picture of what all main ideas have been discussed in relation to a particular theme or topic by various authors so far and where the gaps exist. This information, in turn, would help you draft critical literature review for your research in the best possible way. If it is plagiarism-free. (Check out our useful video to learn what counts as plagiarism so that you could avoid it). Please note that you may have to cut out a number of inappropriate paragraphs and replace those with the appropriate ones that adhere to the above-given checklist. If it turns out that paragraphs are not ordered properly, all you need to do is re-arrange the paragraphs in a way that makes more sense to the readers. By the end of revision, you should have a piece of nicely-drafted literature review for your dissertation or PhD Thesis. If you are someone who is willing to go for a PhD programme at any university across the UK or any other part of the world, you will most likely be requested to produce a well-thought research proposal or plan as part of your PhD application. 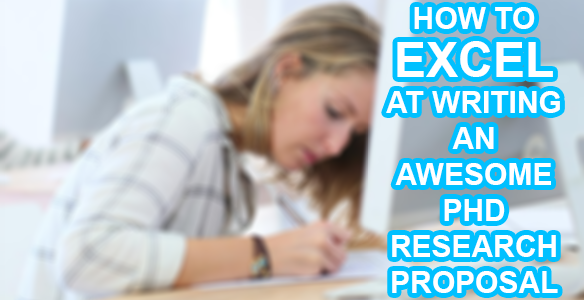 This article will help you excel at writing an awesome PhD research proposal by sharing great tips related to its core components. A PhD research proposal is nothing but an outline of the research study that you propose to undertake during your tenure as a doctoral student and is often used by the potential PhD supervisor at your chosen university to assess the quality and originality of your research idea, your critical thinking skill, your knowledge of the existing literature relevant to your proposed field of study and overall feasibility of the proposed research. Based on the assessment of the PhD application as well as the research proposal, the university will make a decision as to whether to accept you on to the PhD programme of your interest or not. Hence, it is vital that you establish contact with the potential supervisor beforehand and discuss the content of your PhD proposal in an informal way, so as to get potential supervisor’s constructive feedback on the design, scope and feasibility of the proposed research study with a view to increasing your likelihood of getting admission on to the chosen PhD programme to a great degree. As you now understand the significance of a PhD research proposal, let us discuss the appropriate way of drafting it in detail. It is to be noted here that the requirements in relation to the word-count, content and structure of a PhD proposal would normally vary from one university to the other. So, you should ideally consult the chosen university to seek a set of its specific guidelines related to drafting a research proposal. However, you should go with generic guidelines if you fail to obtain any specific ones from the chosen university. You need to write a title for your PhD research proposal that is easy to understand and can summarise your research work adequately. In order to do so, you could make use of relevant keywords (that best describe your research) in the title. After you have settled on a research topic, you need to contextualise the research problem that you wish to address during your PhD tenure, using the existing theoretical and/or empirical literature relevant to your field of study. This section usually starts with an overview of your research area in general. It, then, narrows down its focus and enlarges upon specific part(s) of the general research area discussed previously. Thereafter, it goes on to mention the research gap that emerges from the critical discussion of relevant literature surrounding the specific part(s) of the general research area. A research gap is nothing but a research problem that has been either ignored completely or addressed inappropriately by the researchers in the past, and forms the basis for a good research question. Please note that one of the important criteria to assess a PhD proposal is its ‘originality’, meaning you should focus on either a research issue that has never been investigated before or a previously-investigated issue by introducing a completely new perspective into it. Hence, you must focus on finding a research gap that reflects originality. In the end, you should use the research gap to explain why the proposed PhD research is significant to the research community, and highlight the contribution your study is going to make to the existing body of knowledge. Please ensure that the written content, in this section, establishes the rationale for the proposed PhD research study in a crystal and clear manner, and allows you to move on to draft a good ‘research question’ in the next section smoothly. After you have discussed the background to the research problem in the previous section using important and relevant pieces of literature, you should go about writing down a clear, focused and complex research question. If written properly, a research question will assist you with the research process, construction of a logical argument, literature review and methodology to a great extent. In PhD, you should ideally work with one research question and two or three sub-questions. Unclear: Why are social media sites not safe to use? Clear: How are internet users dealing with privacy issues on popular social media sites such as Twitter and Facebook? If you look at the unclear research question, you will notice that it does not mention anywhere as to which social media websites are not safe to use and what threats these pose to the users. However, in case of clear research question, you will see specific websites being named (i.e. Twitter and Facebook), type of threat these sites pose (i.e. privacy issues) and who is being impacted by the threat (i.e. internet users). So, ensure that your research question is clear and leaves no room for vagueness. Unfocused: What impact does Global Warming have on the environment? Focused: How are penguins being affected by glacial melting in the Antarctica? Looking at the unfocused research question, it appears that it is too broad to be addressed by a PhD Thesis. Even a book might not be able to answer the question adequately. But, the latter research question focuses on specific aspect of Global Warming (i.e. glacial melting), specific group that is getting impacted (i.e. penguins) and a specific place (i.e. Antarctica). So, make sure that your research question is focused and researchable in the given timeframe. Very simple: How is diabetes being treated by doctors in the United Kingdom? Fairly Complex: What are common characteristics of those experiencing diabetes in the United Kingdom, and how can these common features be used to help the medical community prevent the disease? Apparently, the research question titled ‘very simple’ is something that can be answered in few sentences using information available on the internet. There is hardly any need to carry out detailed investigation in this case. However, the latter research question is fairly complex and thus calls for thorough investigation to be answered adequately. Therefore, please ensure that your research question is not so simple that it could be answered with few clicks on the internet. It should rather be a complex question which is, apparently, thought-provoking and requires detailed investigation. Hopefully, the above-given examples will help you draft a research question that is worth investigating into. As soon as you have a good research question to proceed with, you should back it up with a thesis statement (i.e. a tentative answer to the research question) that demonstrates the path, you think, your PhD Thesis will most likely follow going forward. Once you have written down your research question, you should move on to describe and justify the research methods (i.e. quantitative or qualitative or both) you plan to make use of, so as to address the question appropriately with a view to filling the gap in literature. At this stage, you do not need to provide full details, but you should adequately demonstrate that you have given enough thought to how you, as a doctoral student, are going to address the research question in the given timeframe (i.e. 3 years for full-time PhD). It is to be noted here that one of the reasons as to why many PhD applicants are refused admission is that they fail to give enough information in relation to their chosen research methods, or are unable to justify their choices, or refer to relevant literature inadequately. Hence, it is vital for you to write this section of the proposal meticulously to increase your chance of admission to the chosen PhD programme. What are the steps you intend to take and what are the research methods (i.e. quantitative or qualitative or both) you propose to use so as to address the research question sufficiently? 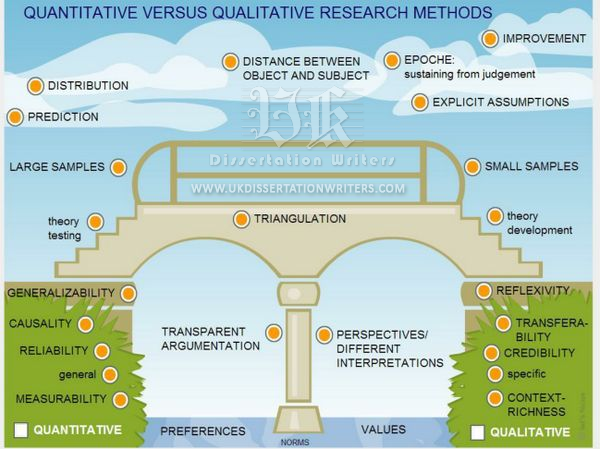 What is the rationale for resorting to the proposed research methods, meaning how these methods are going to yield reliable answer to your research question? What sources of data (i.e. primary or secondary or both) do you plan to use to gather sufficient volume of information to answer the research question appropriately and is the data easily accessible to you? In case you plan to take an experimental approach, what specific hypothesis/hypotheses are you going to use? What are the data collection instruments you plan to use in order to gather data to test the hypothesis/hypotheses and/or address the research question (such as surveys or interview questions or case study or focused group or modelling or simulation or text analysis etc.)? What are the equipments or software or other materials you need in order to accomplish your PhD research smoothly? Have you gained any skill or experience related to the proposed research methods previously? Are you required to work with other researchers or organisations to proceed with your PhD research uninterruptedly? Are you going to encounter any ethical issue while conducting your PhD research in the foreseeable future? If yes, how are you going to tackle it? Consider issues, including but not limited to confidentiality, privacy and health (mental and physical risks that either you or the target respondents are vulnerable to). Is there any major practical/empirical/conceptual/theoretical issue or barrier (e.g. problem with accessing target respondents or funds) that, you reckon, will trouble you during PhD? Are you expecting to travel for fieldwork during PhD? If yes, please mention the details as to where you plan to visit and how long you will stay there for. You must answer the above-given questions appropriately to be able to write this section of the proposal properly. After you are done with drafting the ‘research methodology’ section, you will need to outline how the entire PhD research work is going to be split and completed over a period of 3 years. In this section, you may include a Gantt Chart to put across your research plan to the potential PhD supervisor in a tabular format, describing all the activities (including any mandatory research training) which you will be involved in from the beginning till the end of your doctoral journey. This section is used by the potential PhD supervisor to make sure that the proposed research project is not too broad, and is feasible enough to be finished in 3 years’ time. At the end of the document, you will list all the sources of information you have referred to or cited anywhere in the content of the proposal. Please make sure that you have used enough number of authentic and relevant (both subject-specific and methodological) references while drafting the proposal and that these are listed in line with the referencing style (e.g. Harvard or APA or Chicago style) suggested by the university. After you have successfully drafted your research proposal, you must proof-read it for errors related to spelling, consistency of style, tone, grammar and referencing style. Last but not the least, run the entire proposal through WriteCheck (except the reference list) to avoid any possibility of plagiarism before you formally submit it to the university along with your PhD application. Hopefully, the above-given information and tips would help you write an awesome PhD research proposal which, combined with a duly filled-out PhD application form, will speak highly of you as a PhD candidate and result in confirmation of your admission to the chosen university as a doctoral student eventually. Are you about to embark on your PhD journey sometime soon? Are you feeling clueless as to what you will be doing over the first couple of days at your university? Do you wish to be better prepared than your peers so as to be in control of your PhD research right from the very beginning? If you have answered ‘yes’ to all of the above-mentioned questions, you must read on to find out the answers. The initial phase of the PhD may turn out to be very confusing and difficult if you do not prepare for it well in advance. Unlike undergraduate courses, there is no classroom routine designed for PhD students to follow. Nor is there any classmate to help with something as simple as finding the closest washroom. You may also be roaming across the university campus with your laptop handy in a clueless manner, pondering over what to do and where to go. PhD programmes are very intense in nature and often require students to keep late hours for managing their studies efficiently. Therefore, you should buy a coffee mug and get used to drinking coffee regularly as regular intake of caffeine will help keep off fatigue and will result in increased productivity while you are working on your PhD research. You need to consult your department head or supervisor or administrator to figure out the workstation that has been assigned to you. Decorate the workstation tastefully once you have found it and ensure that you have a comfortable chair to sit on as you will be using the workstation to work on your PhD research for hours at a stretch at times. Even though you have submitted a number of papers, including statement of purpose, research proposal, application form, mark sheets and letters of recommendation, to your university for the purpose of admission on to a PhD course, you will realise that you still have a lot of paperwork to get done with in the first week of joining the university. For example, you may be asked to fill up a form to get your university identity card to access university premises or you might be filling in a form to get log-in details for accessing intranet/internet or library’s online resources. You need to ensure that you are done with filling in all the relevant forms as soon as possible so that you could avail yourself of all the university facilities without any trouble. Having filled in the log-in form, you must have obtained username and password to access internet/intranet on your laptop. As your laptop is now connected to the wi-fi/intranet, you must consider setting up the closest printer on it because you would need to print out a number of documents during your study tenure as PhD. There are many useful software programs offered by universities to its students for free so that the students could carry on with their studies in an uninterrupted manner. Hence, you should check with your university as to which all software programs are accessible to you for free and download the relevant ones to make your life a little bit easier. In addition to the university’s software programs, you should consider downloading some other free software solutions, including Dropbox, Evernote, Google Docs, Mendeley and Slideshare, from the internet to organise your PhD life better. If you are a new PhD student who has not been involved in any type of academic research before, you would need to foster research skills before you could conduct PhD research on your own. In order to develop the skills, you will have to participate in skill-enriching workshops, seminars and conferences, in addition to compulsory PhD modules. While compulsory modules are to be attended mandatorily, seminars, workshops and conferences are optional. You may attend some of the optional events to add to your research skills and knowledge by registering your interest for the same. What you need to do is discuss about your research needs with your supervisor in the very first week and seek to understand which all workshops, seminars and conferences you should attend to enhance your research skills and develop into a good PhD researcher. As a PhD student, you will have to read numerous journal articles, books, industry publications, reports and previous Theses to be able to complete your PhD Thesis successfully. The more you read, the more you learn about your area of research. Extensive critical reading (also known as literature review) will help you understand what has been done in the field of your study before and find out the research gap that is worth addressing. So, get into the habit of reading so as to thrive as a PhD student from the very first week. Now, you must be wondering how to go about finding out the academic publications that are worth reading? Well, you should consult your supervisor to seek a list of journal articles, books, reports and previous PhD Theses surrounding your research area and get hold of all the suggested academic publications with the help of university’s library for the purpose of reading and conducting literature review extensively. As human beings, we all crave for a good social life. So, get to know your fellow PhDs and other students at your university in the very first week. It would not hurt to talk to other PhD students over a cup of coffee or lunch or dinner or BBQ party and discuss about their research work as well as yours amid non-academic conversations. Such conversations will help you learn about research experiences of other PhD students and prepare you for the challenges that you are most likely to face during your PhD journey ahead. Additionally, if you are a fitness-freak, you could make friends with students at gym and sports club of the university and socialise with them. You could also join the university’s student union to be able to participate in a wide variety of social and cultural events organised for its members. Interaction with students at various events or places would make you feel alive, included and better prepared during your PhD. So, be social! Hopefully, the above-mentioned activities will keep you engaged in your first week of PhD and lay down a strong foundation for a bright future ahead. 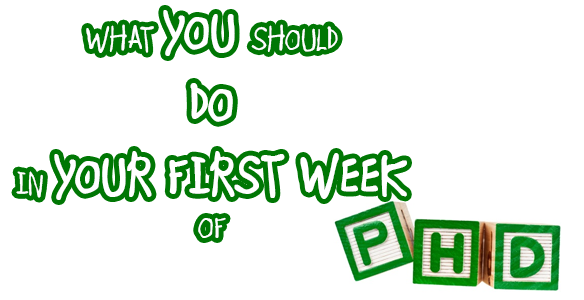 Last but not the least, do write to us and share your first week’s experiences as a PhD. We would love to hear those from you! When you are pursuing your PhD, you are often flooded with large chunks of information that result from the meetings you hold with your PhD supervisor and other academics, the journal articles and books you read through, the conferences you attend and what not. If you leave such high volume of incoming data unattended and unorganised, you will have to suffer from its dire consequences, such as making multiple revisions of your PhD Thesis draft unnecessarily or wasting great deal of time re-locating any useful reference which you had thought of including into your PhD research to make its arguments stronger and more critical, in the foreseeable future. In order to avoid such unwanted troubles during your PhD journey, you will have to stay extremely organised throughout, and you can do so by picking out one of the software tools that help with organisation of data. While there are many software tools out there in the market, Evernote has been touted by a number of PhD students for its wonderful attributes that aid in collecting, storing and accessing the important pieces of information, relevant to your PhD research, across all of your devices. With the help of Evernote, you can manage wide variety of data, including text, images, audio, web pages and snapshots, in a smooth way. Not only does Evernote help store and sync all the relevant details related to your PhD research across all your devices, but also it helps you share the stored information with the targeted recipients via various means, including URL, e-mail and social networks, in an easy manner. Additionally, you could use its ‘TypeAhead’ search functionality to look up any note you have saved in the past. With plethora of benefits that Evernote has on offer, it becomes an ideal tool for PhD students to streamline their research work with a view to improving their academic productivity and completing their PhD journey in a hassle-free manner. As a PhD student, you often have to meet your PhD supervisor as well as other academics with regard to your research work in person or virtually. In each and every meeting, important points, including key issues, central ideas and to-do tasks, related to your PhD research are discussed and hence, it becomes vital to you, as a researcher, to record all the relevant pieces of discussed information as minutes so as to be able to remain on the right track all the time. With feature-rich Evernote, you can keep track of all the important details related to your meetings and stay on the top of your PhD research throughout. If you do not feel like penning down the minutes of any meeting, you could even resort to the audio note (instead of text) to record everything that has been discussed and transcribe the relevant details later on. Every note created using Evernote has a URL that makes sharing of information very simple and easy. As a PhD researcher, you can take advantage of this feature and share the minutes of meeting with all the participants, be it your PhD supervisor or other doctoral researchers, using the relevant URL so as to keep them all on the same page. If you have a follow-up meeting coming up, you might want to search for minutes of the previous meeting stored on Evernote to quickly refresh your memory of the previously-held discussion. This would ensure that discussion in the following meeting proceeds in the right direction smoothly. While you are pursuing your PhD, you will get many opportunities to attend conferences that are relevant to your research area. When you make it to such conferences, you will get to meet other doctoral students who, like you, would be there to discuss their research work using fascinating posters. Some of the showcased research posters might seem interesting and useful to you in the context of your own research work. Hence, you might end up requesting other researchers to forward you a copy of their research poster via email. While some researchers may send you their research posters, others may not. In order to avoid the possibility of missing out on any relevant research poster, you might want to click pictures of all those that appear relevant and useful to you from the view point of your own research and save them all using Evernote. This would ensure that you have access to all the interesting research posters at your will across all of your devices. With Evernote, you may also like to make note of all the questions you have been asked in relation to your research work at any conference. This might be a useful input when you start preparing for your viva after you are done with writing your PhD Thesis. You could also use Evernote to save all of your travel documents, tickets, bills and expenses (related to any conference) so that you could make a declaration of the spent amount appropriately when you are back to your university. As a doctoral student, you have to read through a number of journal articles, books, industry reports, relevant publications and what not, so as to be able to write a critical and cohesive literature review on your research topic. There are times when you realise that you cannot read any interesting academic article instantly and you may want to go through it later on when you have sufficient time handy. Many a time, you forget to bookmark or save the article at an appropriate or easy-to-access place for future references. As a result of the same, you lose track of that article completely and are left with no option but to repent not reading it at all. In order to avoid losing sight of important academic articles and web pages, you can use Evernote Clipper that enables one to clip or store any piece of information that is found out on the web, be it a PDF or an article or any paragraph or a photo. With Evernote, the process of reviewing literature becomes far easier. Evernote is often used by PhD students to manage a wide of variety of tasks which they have to deal with off and on. The tasks could range from ‘finishing any particular section of PhD Thesis’ to ‘reviewing a set of journal articles’ to ‘responding to important emails’ to ‘attending someone’s birthday party’ to many more. With the help of Evernote, you could create a notebook titled ‘to-do tasks’ that would contain all the notes that need be acted upon. Thereafter, another notebook titled ‘today’ could be generated where you could drag all the notes (from ‘to-do tasks’ notebook) that need be dealt with today. Creation of the above-mentioned Evernote notebooks would help you stay organised throughout and complete all of your PhD-related tasks on or before time. Have you ever thought of syncing your Evernote account with IFTTT, which refers to ‘If This Then That’? If not, you must consider doing it now in order to make your PhD life more organised and less complicated. The IFTTT website has a total of 305 channels, including Evernote, Facebook, Twitter and Foursquare, and offers you a great opportunity to connect two of its channels to make a unique and helpful recipe. To understand this concept better, let us see how connecting Evernote to Twitter (the two channels on IFTTT website) might help. Suppose you visit your Twitter account very often and retweet all those pieces of content which you find useful in the context of your PhD. Deep inside your heart, you wish to save those re-tweets at a place where those could be easily accessed. What you will do, in this case, is connect your Twitter account to your Evernote account using IFTTT and instruct the website that if you retweet anything on Twitter, then that retweet gets saved on Evernote for future reference. The above-given example demonstrates one of the recipes you could make using Evernote and another channel of IFTTT website (i.e. Twitter). You could try making other useful recipes to stay organised and updated by combining Evernote with other relevant channels appearing on IFTTT website. In conclusion, Evernote is a tool you cannot live without as a PhD student. Whether you are struggling to absorb information during any meeting or you want to capture some fascinating research posters at any conference so as to review those later or you wish to save link to any academic article for future reference, Evernote is what you should resort to. This tool will help you remain organised throughout your PhD journey and add simplicity to the complicated and intense life that you may be leading at present. Is your PhD supervisor very difficult person to deal with? Do you feel that you are often ignored by the supervisor? Does it occur to you that every piece of draft produced by you for the PhD Thesis is always frowned upon for trivial reasons? Does the supervisor end up making you feel stupid in every meeting? If your answer is ‘yes’ to any or all of the above-given questions, it is apparent that your PhD journey is not going on as smoothly as it should and that you need to focus on improving your relationship with the assigned supervisor. This article will apprise you of the various types of nagging supervisor and outline the strategies to deal with each type so as to enable you to stride forward on the path of PhD effortlessly. It might sound unfair to you, but the difficult supervisors often get away with their inappropriate behaviour because of their past achievements and accolades as academic researchers. What this means is that making a complaint to your university against the supervisor’s inappropriate behaviour is an option to you as doing so is only going to complicate your life further. So, what do you do as a student to cope up with a difficult PhD supervisor? Well, you can work out strategies that will help reduce your PhD woes by bringing you and your supervisor on the same page until the completion of your PhD journey. In order to devise such strategies, you first need to figure out the type of supervisor you’re dealing with. Your supervisor is most likely to fall in any of the 9 categories mentioned above. Let us discuss what each of the 9 categories means and what strategies you can use to handle each type in detail. 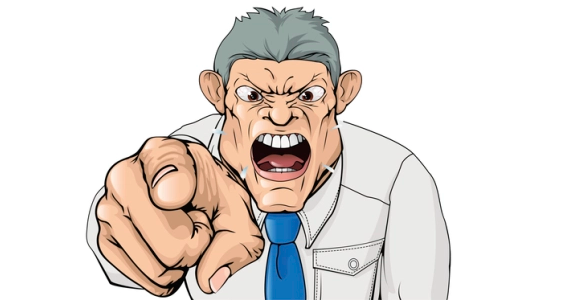 Supervisors or advisors that fall into this particular category are normally confrontational, unfriendly, impolite, rude and aggressive in nature. Such type of supervisor will reject all your ideas and drafts point blank, leaving you to feel down and out in almost every meeting. Bide your time – You need to wait for the person to switch into a calm-mode so that your voice could be heard and understood. Be assertive – Once the supervisor’s drilling speech has lost the momentum in the meeting, you need to assertively respond to supervisor’s concerns regarding your PhD, backing up your arguments with logic and reliable sources of information. Maintain eye-contact – Look into the eyes of the supervisor while you’re speaking your mind. This will reflect your confidence and positivity which, in turn, will help you take charge of the situation and direct the conversation towards problem-solving. This type of supervisor will always have something to complain about. It will not be wrong to say here that such type of supervisor is born with the talent for picking up holes in a student’s work. Listen – You should actively listen to the complaints raised by the supervisor to be able to deal with the same appropriately later on. Acknowledge – You need to, then, acknowledge your supervisor’s comments in an appropriate manner. You could say ‘I understand what you are driving at’ or ‘I understand where you are coming from’ or ‘I see why you’re concerned about xyz section of my research paper’ to acknowledge. Intervene – If you find any complaint of your supervisor to be illogical, intervene and explain why you do not agree to any particular point mentioned by the supervisor. Statements, such as ‘With your permission, I would like to contradict your point here’ or ‘With due respect, I beg to differ on this point’, might be helpful. Avoid accusation – When you speak your mind to your supervisor, it should not sound like accusation. Rather, you should state facts and figures to back up your arguments on any topic which your supervisor has been troubling you with. Don’t let the conversation turn into an accusation-re-accusation sequence. You could extend the sentence used above in the following manner: ‘With due respect, I beg to differ on this point and my reasons are X, Y & Z’. Get down to problem-solving – Besides stating facts and figures to your supervisor, you need to present solutions to the problems that have been highlighted by the supervisor during the meeting. 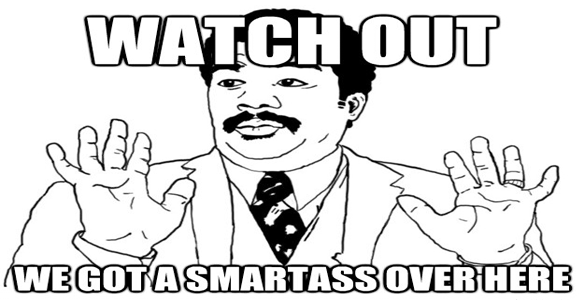 For example, ‘‘I see why you’re concerned about xyz section of my research paper. With due respect, I beg to differ on this point and my reasons are X, Y & Z. Do you think it is still an issue? If yes, what changes do you want me to make to this section so that this particular chapter falls in line with your expectations? It is to be noted that complaining supervisors do not always moan about any particular research issue with a view to getting to its solution. They would rather do so in order to be admired and appreciated for their ability to pick faults. So, appreciate them to fulfil their unspoken desire for recognition. This kind of supervisor is not what you get to see in the academia. However, there are certain supervisors who do fail to return your calls or emails and might try to skip your questions silently during a meeting. Open-ended questions – You should ask open-ended questions to get as much information out as possible. For example, Professor, what do you think about the solutions I have proposed to the problems raised in the previous meeting? Pausing helps – When you feel your question or doubt has not been duly addressed, try pausing for a while, allowing the professor to break the ice and address the question or doubt with a satisfactory explanation. Sum-up the conversation – Before the meeting ends, re-iterate what has been discussed and seek confirmation of your understanding from the supervisor. This would make sure that any gap in understanding is duly identified and filled by the supervisor, and that you have clear set of goals to achieve before the next meeting kicks off. Follow-up regularly – If your supervisor has asked you to work on certain aspects of your PhD Thesis, you need to agree to a deadline for the same and schedule the next meeting to discuss its progress. Continuous follow-up is the key to success while working with this type of supervisor. Use your own judgement – If the supervisor remains silent on any question or doubt of yours (related to the PhD Thesis), you may need to use your own judgement and keep the supervisor informed about your plan of action via email. A supervisor falling into this category would always appreciate your work and would hardly mention any fact that might upset or displease you as a student. If such supervisor makes any promise, it is not to be trusted blindly as most of the promises made by this category of PhD supervisors are empty ones. Speak your mind – Do not wait for the supervisor to pick holes in your work. Rather, approach the supervisor with all the problems you’re faced with while drafting various sections of your PhD Thesis and seek solutions to the same. 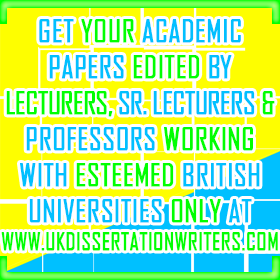 Get the supervisor to confirm if he/she is absolutely happy with the work done so far in relation to PhD Thesis so that major amendments in the latter stage of the research work could be avoided. Look out for unrealistic commitments – As mentioned earlier, a super-agreeable supervisor is good at making empty commitments. So, you have to be on the look out for such false commitments and find a way around these. For example, if your supervisor has promised to provide a letter of recommendation to you in response to your request for the same, you cannot rely on such promise as the supervisor is most likely going to delay the delivery unnecessarily. What you need to do in this case is create an outline for the requested letter and provide it to the supervisor, requesting him/her to issue the recommendation letter at the earliest. This step will expedite the delivery process and you will end up getting the letter much sooner. Actively listen for humour – Such type of friendly supervisor, when holding a conversation, uses elements of humour to highlight the deficiencies of a research paper. Hence, your job is to keep your ears open all the time and be attentive to such humorous comments in order to improve the content of your PhD Thesis. A negative PhD supervisor will always highlight the negative aspects of your accomplished work and try to bring your morale down. Such type of supervisor will not be happy with your academic efforts ever. Avoid getting impacted by the negative behaviour of the supervisor. You should rather draw inspiration from the supervisor’s negative attitude and strive to use it to perform and achieve better results. Try to focus on the problems you are seeking solutions to rather than the supervisor’s demoralising behaviour. Do not get into arguments that, you know, will escalate tension between you and the supervisor to a great degree. Seek help from your peers and other professors if you are able to get nothing out of the negative supervisor you have been assigned with. As the name suggests, a supervisor falling into this category has great deal of knowledge in his or her area of research and would not be pleased with any piece of content that is not well-researched and thought through. However good you are as a researcher, you need to be polite while talking to this kind of supervisor. If you try to show off your expertise in a particular research area, you may not get the best support you want. Before you meet this type of supervisor, you should equip yourself with the required amount of knowledge. A little preparation, before the meeting, would help you critically evaluate the problems you are faced with and seek solutions to the same from the supervisor. Always thank your supervisor for providing you with relevant input and guiding you in the right direction at the end of every in-person meeting. Have you come across a PhD supervisor who first asks you to proceed with your research work on a particular topic and later on, suggests you to switch to a new research topic, for the previously-agreed topic does not look very promising any longer? If yes, that type of supervisor is what you term as indecisive. Indecisive supervisors are not comfortable with making firm decisions, for they fear lest their decisions should turn out as inappropriate and ineffective. 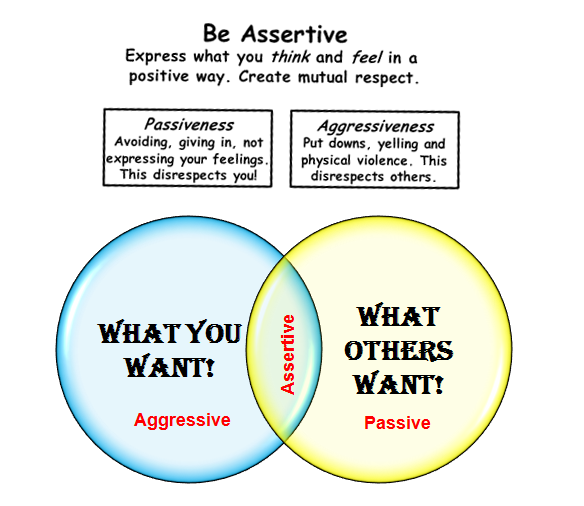 Assertiveness is what works the best with such type of supervisor. By being assertive, you can explain why a particular research project is worth doing after your supervisor has rejected the research plan. This would help restore the confidence of your supervisor in both you and the research work you are carrying out. You need to take charge of the PhD Thesis and do considerable amount of research on your own before you meet an indecisive supervisor for guidance. Only when you are well-informed about the research area, will you be able to convince your supervisor about the decisions you have made in relation to your PhD Thesis. This type of supervisor would barely have any time to dedicate to your PhD project. Students, who have been assigned a super-busy PhD Supervisor, need to remain self-motivated to finish the PhD Thesis successfully. If you are unable to get an appointment to see your supervisor, please do research on your own to find solutions to the problems you are stuck with in relation to your PhD Thesis. Thereafter, drop an email to the supervisor, informing about the steps you will take to solve a research issue or issues. If the supervisor finds any fault with your chosen course of action, you might get some constructive feedback on the same that will enable you to move in the right direction. You can also seek help and advice from your peers and other professors in relation to the various chapters of your PhD Thesis. A micro-managing supervisor is someone who scrutinizes every aspect of your PhD work and keeps track of every deadline that has been agreed to discuss the work-in-progress and future course of action. Such type of supervisor might even call you at odd-hours to discuss about the ongoing research project. In each meeting with your PhD supervisor, you should pen down every piece of feedback shared by him/her and agree to a deadline for submitting the revised draft. This would ensure that you are not interrupted before the agreed deadline expires and you can complete the agreed revision on time. Inform the supervisor about your working hours in a polite way so that he/she knows when to get in touch with you to seek an update (if need be). The long and short of what this article is trying to convey is that you are bound to face troubles from the assigned supervisor on certain occasions while you are busy working on your PhD Thesis, but you do not have to lose heart. Assertiveness and self-motivation along with other strategies discussed above will help you deal with your difficult supervisor to a great degree which, in turn, would enable you to complete the PhD Thesis successfully in the end. 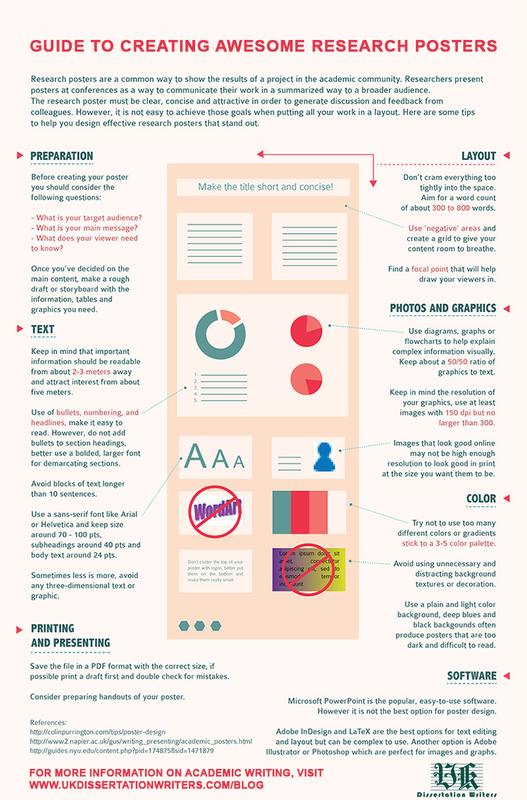 Guide To Creating Excellent Research Posters! Copyright © 2015 UK Dissertation Writers - All Rights Reserved.